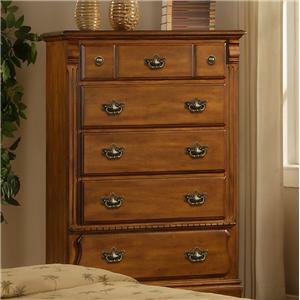 You'll be set with this five drawer chest in your bedroom. 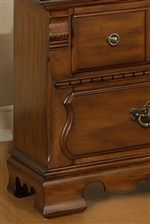 The piece is constructed from pine and carries a medium brown finish as well as intricate bail handles. In addition, the five drawers are great for keeping sweaters, jeans, blankets, bedsheets and towels. 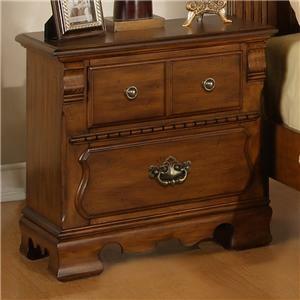 Make your bedroom complete with this drawer chest. 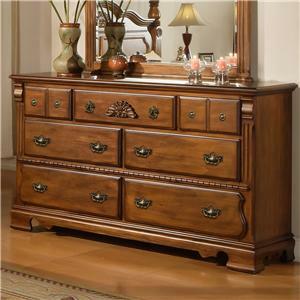 The 0132A 5 Drawer Chest by Lifestyle is available in the area from BigFurnitureWebsite. 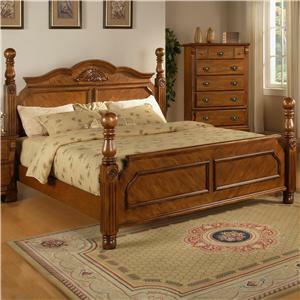 You'll have a warm and welcoming setting for your bedroom decor with this attractive bedroom collection. 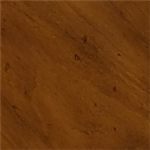 The pieces include a warm medium brown finish and feature pine veneer for a handsome polish. 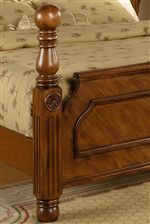 In addition, palmette detailing, reeded columns and bracket feet motifs run throughout the collection. 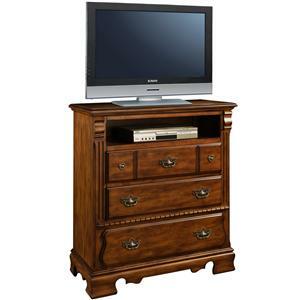 Plus, the ample storage space is great for keeping sweaters, jeans, blankets, DVDs, books and bedsheets. Create an ideal sanctuary to leave the day's troubles behind you with help from this beautiful bedroom collection. 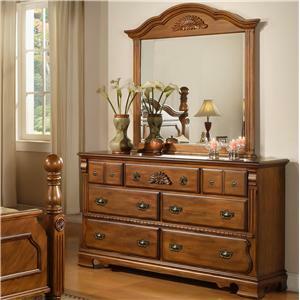 The 0132A collection is a great option if you are looking for Traditional furniture in the area. 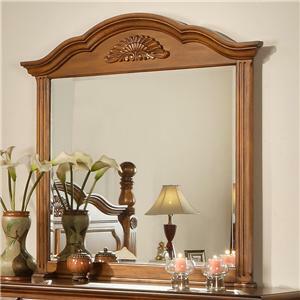 Browse other items in the 0132A collection from BigFurnitureWebsite in the area.